One of the benefits of running a business as a corporation is that the corporation is an independent entity that conducts business in its own name. Under the law, it is considered a legal person separate from the owners and shareholders. Once it is dissolved, its debts and obligations go to the grave with it. A business owner is free to start a new business that is legally unrelated to the old business. 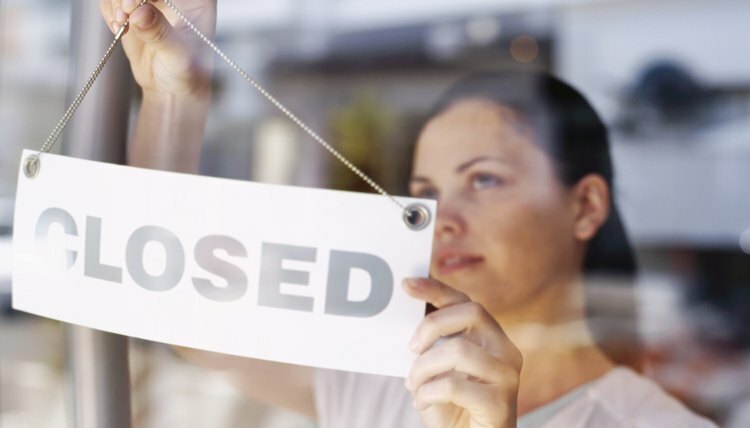 After one business has closed, you may form a new business by filing formation documents with the state. The new business can use any legal structure that the state allows, such as a limited liability company, corporation, or sole proprietorship. Not all business types require registration with the state. Often, partnerships and sole proprietorships may be formed without state registration. Even if you choose the same or a variation of the old corporation's name, the new business is legally unrelated to the old corporation. If you properly dissolved your corporation, you paid your business debts, and the remaining assets were distributed to the shareholders. If you were a shareholder, you would have received your portion of the distributions. When starting your new business, you may use the funds you received from the old corporation for start up expenses and capitalization. Because you recently closed a business, you should have a good idea as to how much money you will need to get your business going. If you do not have enough money in your personal account, you may consider applying for loans. If the corporation was properly dissolved, you closed all of the business accounts and will now need to open new accounts. As a new business, you may not use any of the old corporation's accounts. You will set up new bank accounts for the business, and apply for a new Employer Identification Number with the Internal Revenue Service. Additionally, if required in the state where the new business is registered, you must apply for a new state tax ID. One ramification of closing an old corporation and starting a new one is establishing credit for the new business. You may have built up a respectable credit score for the old corporation, but in establishing credit for the new business, lenders and creditors will look to the owner's personal history. The failure of a prior business, particularly if you personally guaranteed any business loans for the closed corporation, may impact the ability of the new business to get credit. However, having collateral, and the ability to invest your own money into the business, will improve your chances of getting credit for the new business.